Taroko Gorge became a national park 25 years ago and is one of the largest parks in Taiwan. It is known for its dramatic mountains and marble valley. Million years of wind erosion, the marble rocks exposed and formed by the river that flows through it. The height of drop is less than 3742 meters. All the formations that have arisen has also made beautiful flora and fauna in the area. The Taroko National Park waterfalls give a special character whose Pai Yang and Chang Chun is one of the best known. The Changchun Temple is to remember those who sacrificed their lives for the construction of the central road that runs through the park. 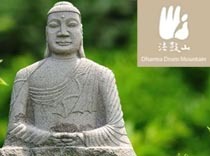 Dharma Drum Mountain Buddhist Monastery was developed from the Nung Chan Monastery and the Chung-Hwa Institute of Buddhist culture, both of which were founded by Rev. Dongchu. The Nung Chan Monastery was founded in 1975. The first residents campaigned for the practice of Chan and they grew their own food (hence the name, “Nung” that “to farm” means). 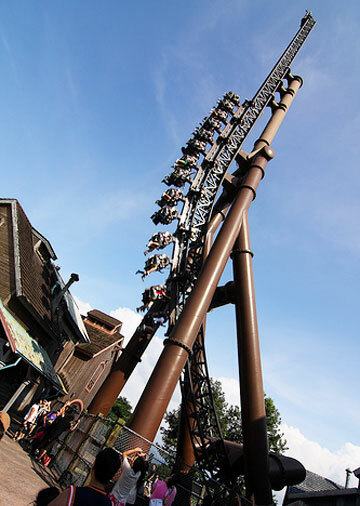 Leofoo Villages is a huge amusement park, covering an area of ​​100 hectares. The park has four different themes, including: Wild West, South Pacific, Saudi Kingdom and African Safari. Each zone has a unique feel and atmosphere and a selection of walks to enjoy. Although the themes vary greatly every effort is made to mix the natural environments of high-tech rides to create a harmonious whole. 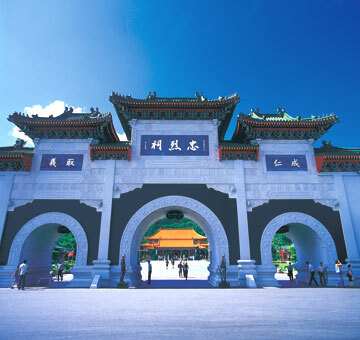 In the morning we drive to Chiang Kai-Shek Memorial Hall. During this drive we’ll pass by the Presidential Building. The Chiang Kai-Shek building is contructed in memory of the former president of the R.O.C. It’s in the middle of the center. The building is made by white marble and has a structure like the pyramids of Egypt. It’s a landmark of Taiwan.